The third-largest lake in the English Lake District doesn’t fail to impress; at 5 miles (8 km) long, 184 feet (56 m) deep and half a mile (0.8 km) wide, it has been a favorite of kayak and canoe aficionados for several decades now and continues to entice visitors seeking stunning scenery and a feel for the much-hyped Lake District. Once the main fish source for the monks of Furness Abbey in the 13th century, it is now the home of the elegant, Victorian-era steam yacht Gondola, which sails from one end of the lake to the other between March and November. Around the lake, there are three main villages, Coniston, Brantwood and Hawkshead, where visitors can sleep, eat, drink and shop as they please. Hawkshead is particularly lovely and easy to explore on foot, featuring charming cobble lanes and the fan-favorite Beatrix Potter Gallery. Coniston Water has been depicted several times in fiction, with its most famous mention in Arthur Ransome’s novel Swallows and Amazons. The lake also received major international and local press during the 20th century because of the role it played in many water-speed world-record attempts. The record was finally set on August 19, 1939, by Sir Malcom Campbell. His son, Donald, subsequently tried to achieve the mind-boggling 300-miles-per-hour record in 1967 but was tragically killed on the second leg of his attempt. The Ruskin Museum in Brantwood features a complete exhibition on the event. Bicycles; motor, sailing and rowing boats; canoes; and kayaks are available for hire at Coniston Boating Centre. Trekking is also a popular activity among visitors, as the lake is surrounded by gorgeous mountain scenery, including the famed Old Man of Coniston. Coniston Water is located in the south of Lake District National Park and can be reached from Liverpool and Manchester by car in two hours via the M6, the A590 and the A592. Discover another side of the beautiful Lake District, and follow in the footsteps of Beatrix Potter, on this immersive, half-day tour. Meet your guide at your local accommodation, and venture first to Wray Castle, a former vacation home where Potter spent time as a teenager. Continue to her home at Hill Top, see the villages she used to frequent, and learn more about her life and works. As you go, you’ll also get to admire the Lake District’s wealth of scenery. Spend a half day exploring the scenic surroundings of the Lake District while a guide provides commentary throughout the tour. Visit highlights such as Tarn Hows, Coniston Water, and Coniston village; then head over to Great Langdale and Little Langdale to admire these valleys. You’ll get a more informed glimpse with a sightseeing tour than going solo, and relax with the ease of transport between destinations. Without a rental car, rounding up the Lake District spots beloved by Beatrix Potter in a half-day is near-impossible. Ideal for time-crunched visitors, this small-group tour from Windermere, Bowness, and Ambleside visits many such places in a few hours. Explore Beatrix’s Hill Top home, see Esthwaite Lake where she fished, visit Hawkshead, and learn detail about her life and characters via the onboard commentary that you might never otherwise hear. Stunning Lake District 4 Hour Tours! This tour is a beautiful tour day out but is rough guide to your days travel, customers may amend the tour to suite there needs or wish list. Please contact Simon to alter your tour. Thank you. Our Beatrix Potter's Favourite Countryside Private Hire is the perfect tour for small groups of families or friends who wish to have a more intimate experience whilst travelling the Lake District. Our 6 seater Mercedes Viano is a luxury, comfortable minibus which will allow you to explore the Lakes in style. 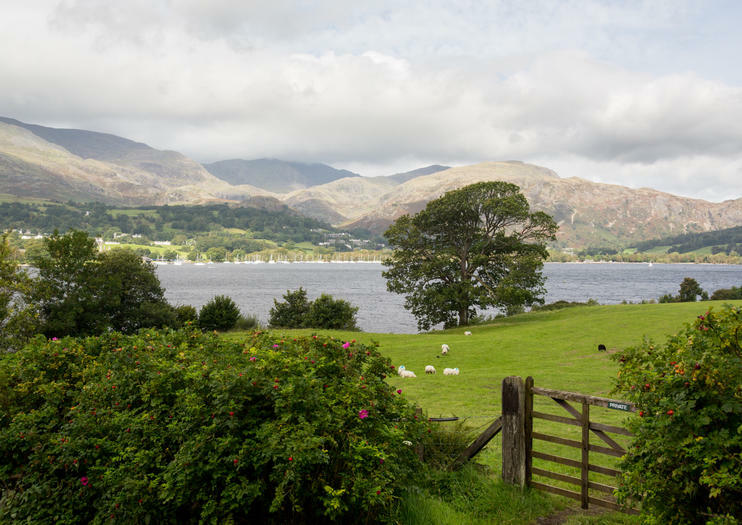 Discover the landscapes and locations that inspired Beatrix Potter on this private 1-day Lake District tour from Windermere, Bowness or Ambleside. Travel deep into the English countryside as your guide sheds light on the life and times of famous author Beatrix Potter. Enjoy panoramic views over Windermere’s open wilderness, and visit top attractions including Wray Castle, Tarn Hows, Coniston Water and Hill Top. Explore the village of Hawkshead at your leisure, take a train journey through Haverthwaite and admire the rolling hillsides from the water during a Lake Windermere cruise.